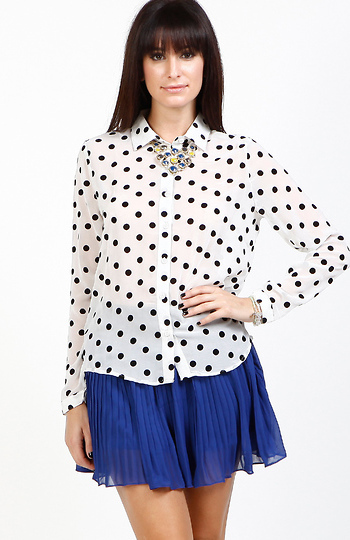 Long sleeve polka dot button down blouse with fold over collar. Shorter front and longer back hem. Undergarments: Standard bra or cami. Will show through fabric.